Oscillating Disk Rheometers controlled by Personal Computer. 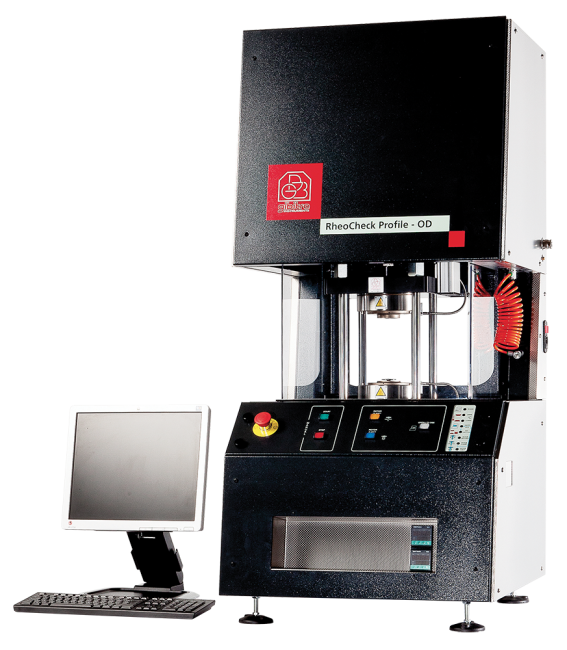 Gibitre OD Rheometer measures the cure characteristics of a rubber compound in conformity with the international standards. The measure of the vulcanization is carried our by measuring the change in the mechanical characteristics of the sample. 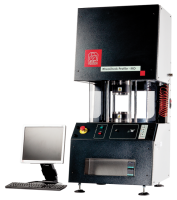 The instrument permits to apply a cyclic strain to a test piece and to measure the associated force. The test is carried out at a constant temperature and the measure of stiffness recorded continuously as a function of time. 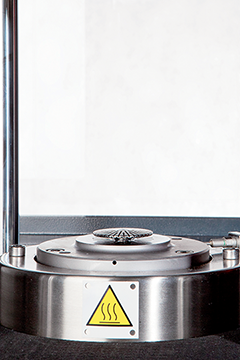 Easily accessible test chamber with transparent safety panel and safety lock. Test chamber in compliance with international standards. 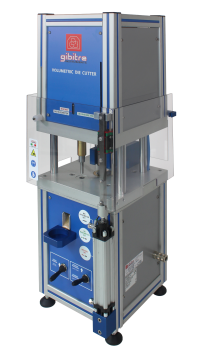 Direct test chamber heating controlled by thermoregulators with PID microprocessor with O.1 °C accuracy. Control system for compressed air pressure, cleaning and lubrication. Pneumatic Rotor ejection and clam- ping systems. 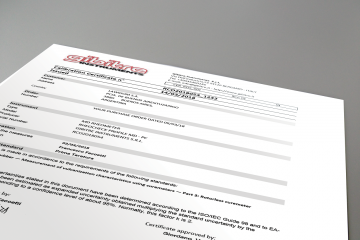 Designed for eventual application of a fume aspiration system. • Graphic representation of the following curves: Elastic (S’), Viscous (S”), Complex (S*), Curing Speed, Tan-Delta, upper and lower test chamber temperatures. • Display and printing in different colors of the relative test curves for rapid test identification. Customer-defined test procedure with possibility of selecting up to 20 test results to be stored and printed (see table). • The elastic curves relating to the tests carried out are superimposed at the end of the test with different colors to allow rapid identification of the tests. • Automatic generation of tolerance limits from statistic analysis (mean and standard deviation) of stored results. • Checking of whether results comply with tolerance limits and relative statistic analysis (Mean, St. Dev., Max, Min, Cp, Cpk). • The test report, printable in a language of your choice, can include, in addition to the numerical results and the identification of the test, the tolerance limits, the statistical analysis, the curves, a legend of the results and your notes. 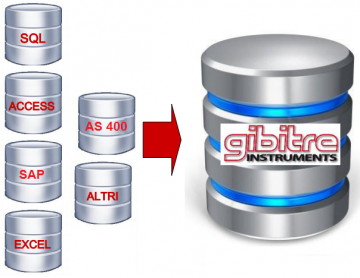 • The Gibitre-Rheocheck program connects to the Gibitre SQL Standard database. Dies for OD rheometer with two Ø 8mm moulds. 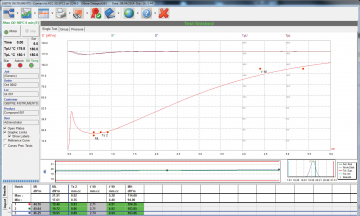 Pressure sensor integrated in the upper die with 0.1 bar resolution.